On a recent campout, a very kind mother gave me a million dollar gift. Well, at least it felt like one. 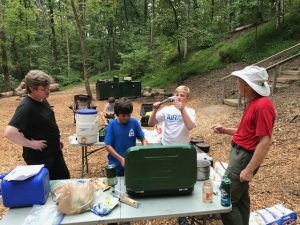 Our Troop traveled to North Georgia, Unicoi State Park to be specific, for an AT intro, cook a bunch of different meals, and do some general exploring that only the Smokey Mountains offers. Our base camp was at Unicoi State Park north of Helen, GA, and the special environment at the “squirrel’s nest” camp site was extremely unique. 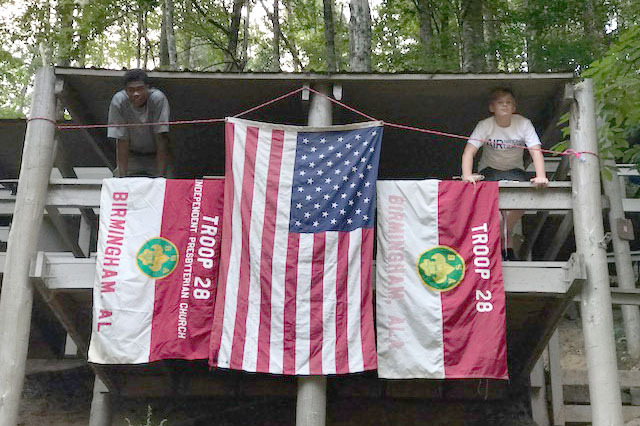 Our scouts had set up a very professional cooking station for the weekend, had prominently displayed the American and Troop flags on our central loft area, and maintained a tight ship, so to speak, as we moved from one activity. 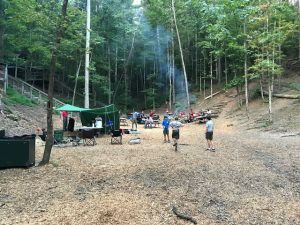 Last night, the scouts were firing on all cylinders, expertly building the common campfire, loaning a stove to a couple that wasn’t prepared, sharing appetizers with another family, and by preparing two backpack themed meals with ease. It was in this setting that a mom approached me with her million dollar gift. While I was apprehensive at first as she approached me, she immediately placed me at ease with a genuine expression of shared kindness and amazement. She began to tell me how amazed she was with how well behaved our scouts were and that she had never seen a finer group of young men. 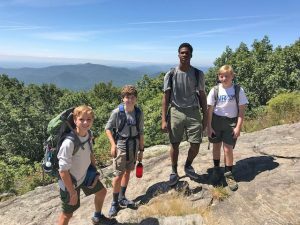 She continued to point out how well mannered they were and that all of the rest of the campers were very impressed on how well they interacted among one another and that the adult leaders were doing a great job of mentoring the scouts. I am telling you now, that my heart welt up inside me because never can you receive a finer validation than from another adult in the field as she paid us all. 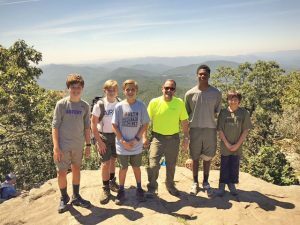 Good work Troop 28, Dr. David Kitchens, and Merrill Bradley!